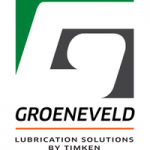 Our client Groeneveld Lubrication Solutions is a global leader in automatic lubrication, oil management and safety support systems. The company products enhance uptime, safety and productivity, while reducing costs. Established in 1971, the group employs more than 700 employees and has over 30 company-owned branches in more than 20 countries worldwide. In addition, Groeneveld is represented by a growing number of independent distributors in many countries around the globe. Their products are supplied for ex-factory installs to leading manufacturers of trucks, trailers, buses, port and mining and construction equipment. In addition, their systems are installed in the aftermarket for a wide variety of on- and offroad, agricultural, port equipment and industrial applications. The company develops and manufactures all off its products inhouse. The Managing Director BeNeDu shall be engaged in all commercial and operational activities in order to grow overall sales in the assigned countries and markets. Change Management role to oversee and deliver the Field Service Technicians (FST) improvements needed. Experienced General Manager with strong background of either Finance or Operations or Engineering. Preferably in the construction equipment industry, truck and bus, or trailer industry. Sales and Commercial skills and able to present very strongly to customers. Strong Change Management Experience to be able to oversee and deliver the Field Service Technicians (FST) improvements needed.